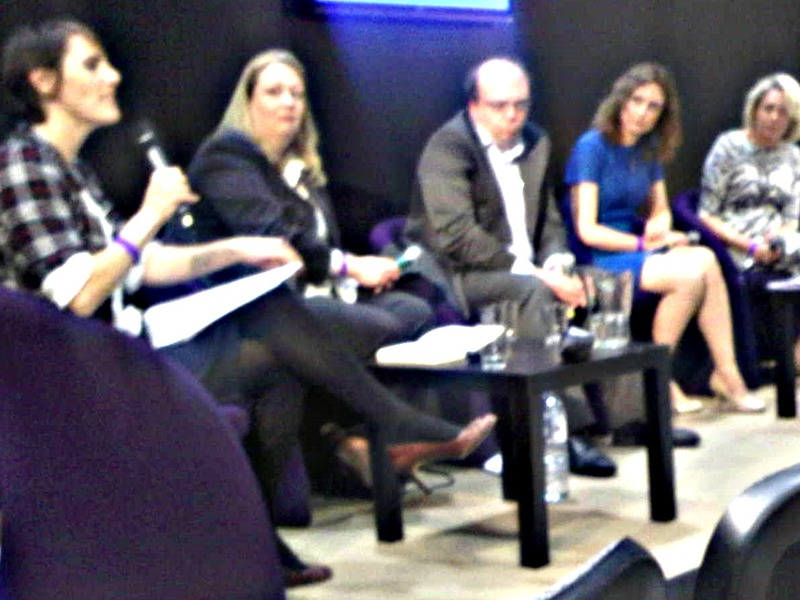 #GEW – What’s Your Secret To Confident Public Speaking? What Is Your Secret To Public Speaking? Are you getting connected with the no-cost and low-cost events in the UK during Global Entrepreneurship Week ? Hopefully your goal is to sample some of the Networking Sessions; Webinars and Presentations scheduled from now until 23 November. You will definitely be able to hear some inspiring ideas from some talented speakers in the next few days. Any one of those learning opportunities might be the right one to give you clarity. They will help you see past the fog of options that you might pursue and focus on your next development goal. What’s The Secret To Confident Public Speaking? Have you ever wondered how some speakers seem to effortlessly get their points across? How Do These 3 Strategies Help Speakers Get Their Message Across? These 3 strategies also naturally lead you and the rest of the audience to read an article online, subscribe to a Newsletter, or book onto a follow-up session if that is the final point the speaker mentions. How Will You Share The Information You Gain During #GEW ? Feel free to comment below – or on Twitter @RogerD_Said – on the learning you have undertaken and how you will apply inside or outside work. I’ll be sharing my GEW takeaways here and across social media during the week. Why not join the conversation? 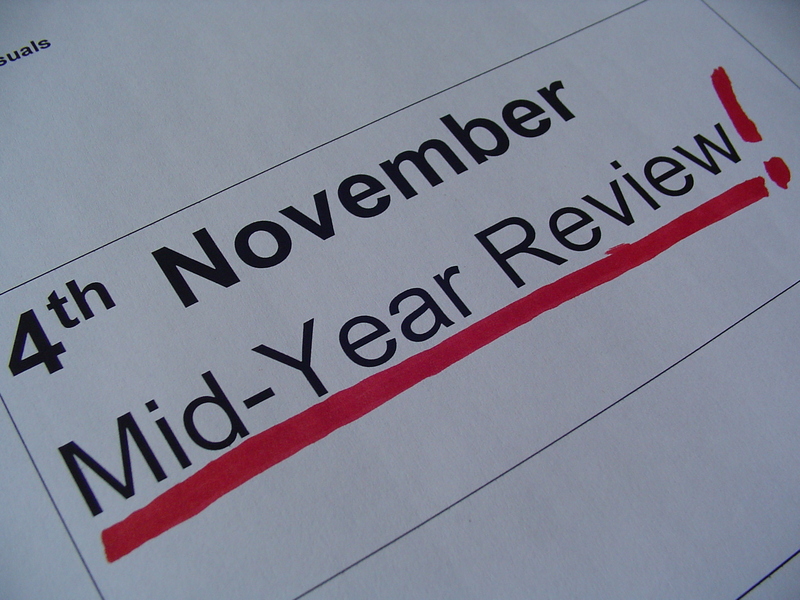 What Makes Your Mid-Year Review A Positive Experience? If your staff report year began in April your mid ear review is due about now. You and your Supervisor / Team Leader / Manager will be preparing for a conversation which will cover: your performance against your goals; the competencies you are using and those you can develop; plus support you can tap into from coaches, mentors or formal training providers. If you are a UK civil servant this process might raise wider issues, some of which are discussed in a feature on morale this week in the Guardian newspaper The article is worth a read if you have an interest in staff engagement, or the delivery of public services. Whether you are working in the private, or public sector your review is your chance to share the evidence of your good work so far this year with your Supervisor. If you are a Supervisor chairing the session it is your chance to have an empathic conversation, which uses evidence to highlight the good work your junior colleague has produced. You can propose any development areas that need attention and leave the session on a positive note overall. The Review is also the spring board to the second part of the year. You can create momentum from this session. Enough momentum to carry you toward whatever achievements you want under your belt by next Spring. Bring your evidence (customer feedback; stats showing what you have accomplished; learning log highlights). Listen intently to what is being said, so you can note down positive and interesting feedback. Check you understand any adverse feedback and ask for evidence where necessary. Clarify next steps and timings at, or shortly after, the review (especially if you have to follow a timetable to record your difference of opinion over something which has been said). Create a development goal, in line with your values, which you can work on this month. Make sure it also moves you forward towards a personal goal. This will give you an immediate lift, should you need one and give you confidence you can use at work too. If you found this post useful please share it with your friends and suggest what other subjects you would like to see featured here. A month ago I offered you my opinion on the benefits of volunteering. If you found that post useful you might be interested in the 3 steps below. I followed these steps before giving a well-received presentation in late July. They will help you should your goal involve giving successful presentations, or learning to do so. Success might seem a long way away, but small manageable steps can get you there. You will offer your audience maximum value if you spend time preparing to meet (or even exceed) their expectations. 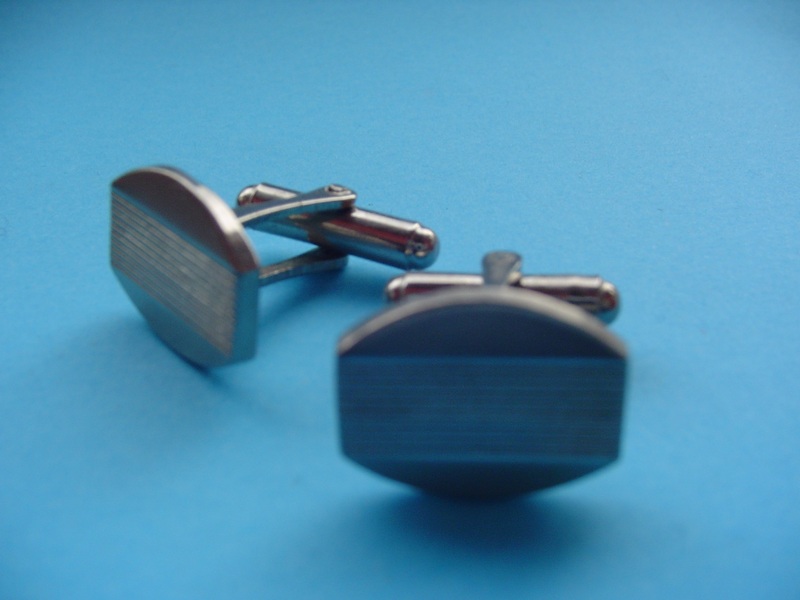 Your confidence level will also rise, once you know how to plan your engagement with the audience members. There’s more work to do once you have created your presentation plan and your notes, plus supporting visual material. Take time to look at presenters you admire or have heard good things about (at work, on television, via Youtube) to see which elements of their work you can build into your own presentation. Practice your presentation in front of a mirror. Then practice in front of a colleague, or friend, whose opinion you trust. Use the feedback you receive to fine tune your work. Once you are confident you have your structure in place you have the potential to excel. Should the unexpected happen you will be fine (even if you are promoted to the opening slot when another speaker cancels!). What is your presentation success strategy? Is searching for a new job on your Spring To Do list? Perhaps you are a recruiter whose goal is to fill your post with the ideal recruit. Neither goal is easy, is it? What Are The Essentials For Your Job? As an applicant you have your check list of what you want (which might include a role that is a good match to your skills; the right salary; a workplace culture you like; a happy work -life balance). Meanwhile the advertisers are picturing their ideal candidate, someone with the Essential Qualities for the vacancy. They might have in mind someone: aggressive about getting results; assertive without being cocky; independent yet a team player, where necessary. Here’s the thing. The language used in adverts themselves may be off putting to some potential applicants. Why? Time magazine’s online edition shared some German research this week, suggesting that women do not apply for male sounding jobs. Some terms, like ‘aggressive… assertive… independent’ could be sending unattractive signals out about the vacancy. They could also be saying something unintended about the organisational culture too. As the global economy starts to recover from the shock of 2008 there is strong competition to secure the right talent. Getting it right promotes business growth. Letting applicants know you are a good organisation to work for is a quick win. Unappealing language is easily fixed, if advertisers take a few minutes to think about the most appealing / inclusive wording they could use, before signing off their recruitment text and posting their vacancies. That simple adjustment might broaden their reach and result in a better hiring decision at the end of the recruitment process. What language in the advertisement attracts your interest / best represents your vacancy? How many of the Essentials Qualities do you have to offer / do you really want candidates to have? How will this job help you achieve your personal goals once you get it / how will filling this vacancy help your organisation’s goals? onwards. Also plan how you will add to your key strengths, respect your values and earn more feedback. Remember your boss’s view is probably changeable. If not your psychological contract with your team may have ended. Other bosses are out there. Record the specifics of your next steps strategy, so you identify an immediate, positive, action you will take to start moving forward. Call this Phase One of your plan. Make it something constructive, that you know you can do well. If that is not possible within your present role find another role that allows you to reassert your ability to do good work. 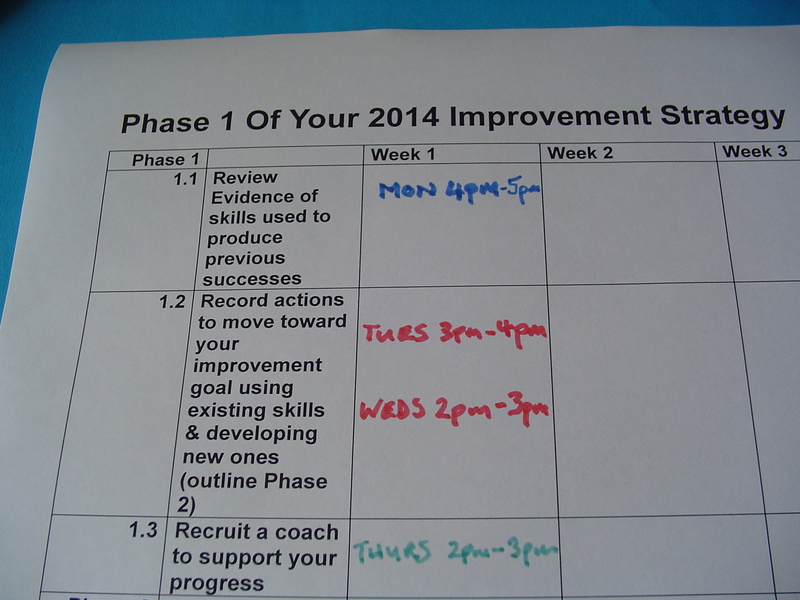 Outline what you want to accomplish in Phase Two of your plan, at the same time. Recruit a skilled ally, ideally an experienced coach who: understands the significance of your work goals; recognises the importance of your values; will remain supportive as your performance rises and you start to fill in the detail of your Phase Two outline. You are now good to go for Phase One of your plan. Take these 3 constructive steps and your week ahead will be focused on improvement and positivity. Good luck and feel free to get in touch with me to talk about your coaching needs, beyond the #MustImprove stage: use the Contact tab above or visit me on Facebook and Google+ too. How often do you update your LinkedIn profile, compared to your professional Blog, Facebook, or Twitter content? Go on, be honest. Here’s another question: What goals are you addressing by using social media for professional purposes? Don’t worry, you are not alone if you said you: refreshed your LinkedIn presence much less frequently than your other profiles; have no specific outcome related to your social media posts. With the sea of media out there to dip into focusing on creating content can be difficult. This week two writers, Paul Boag* and Ross McGuiness** have separately pointed out that LinkedIn can be a real asset to advancing your work life goals, if you use the platform strategically. 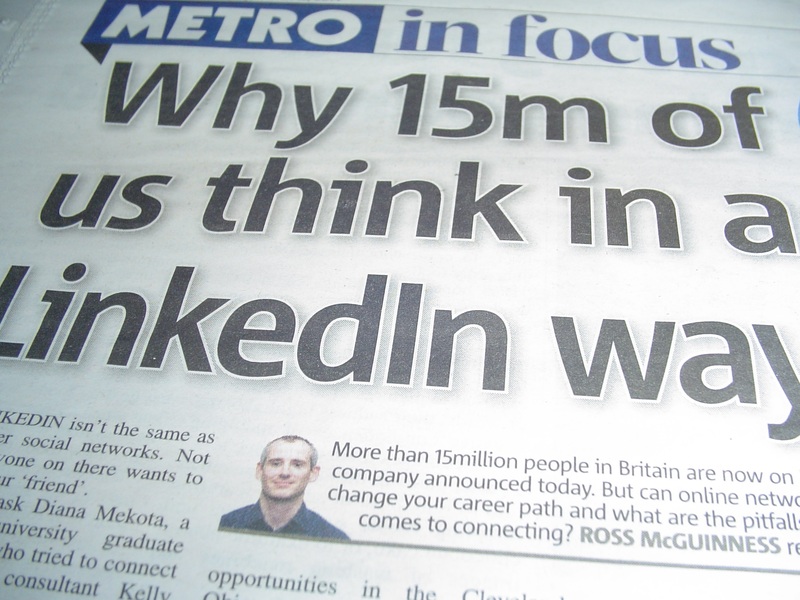 Writing as part of the In Focus section within the Metro Ross’s article highlights the value of building up an organic network of connections, via LinkedIn. Connecting with people outside your immediate circle, can mean you get to offer your talents to an ever widening pool of curious people, who are already interested in your skill set. Those connections can be in another city, country or continent. You get attention in Denver, Delhi or Darlington if you want it. The blog post Paul wrote reminded me of the advantages in keeping profile content fresh. Your connections and other visitors like to dip into fresh material. Your well-presented comments about your latest project, or newly acquired skills are valuable. So are your contributions to discussion threads. What actions can you take to sharpen your social media use? I think there are two actions for you to add to your schedule this year (or focus on if they haven’t had too much of your attention before now). These actions will help you if your goal involves consolidating your professional reputation on LinkedIn, or other social media platforms in 2014. Update your content on a regular basis, to reflect your recent achievements, your newly acquired skills, or freshly gained qualifications. Connect where possible to others with shared professional interests. If that is not an option contribute regularly to online discussions about current key topics affecting your work area. Perhaps you could even start a new conversation, based on your knowledge of upcoming trends? Good luck with sharpening up your goal and turning your LinkedIn presence to your professional advantage.